Time to get rid of that cumbersome old mechanical hard drive? PAT PILCHER discovers the joys of solid state. Going solid state is one of the more affordable ways of giving a tired PC a solid performance boost. This is because the speeds with which mechanical hard drives deliver data to a computer get limited by physical constraints such as how fast the drive platters can spin and how fast the read/write heads are able to move to access data. 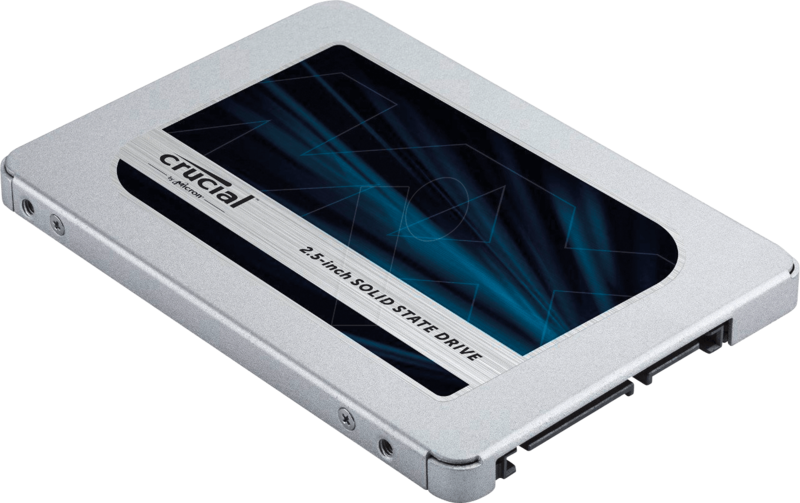 With a solid-state drive (SSD) all the mechanical performance bottlenecks vanish. Data gets stored and retrieved electronically, making them much faster. While there’s little dispute that SSDs offer big performance improvements, there’s SSDs and SSDs. 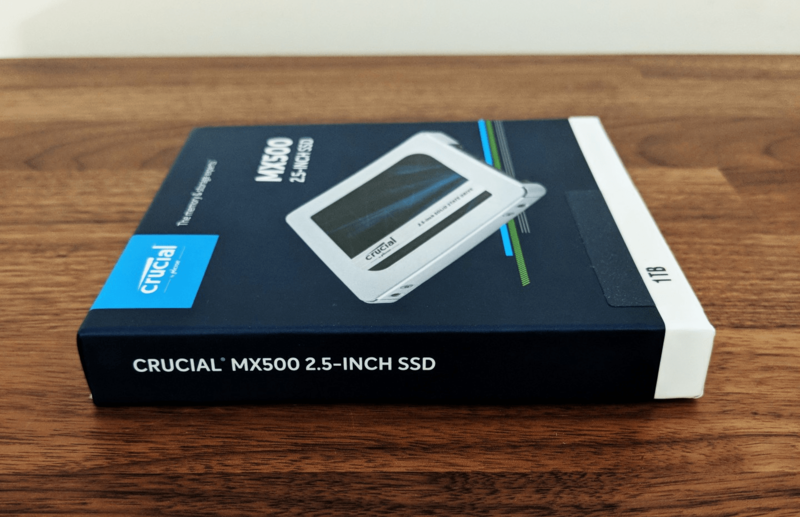 How does Crucial’s MX500 stack up? SSD prices have improved, but capacities still lag those of mechanical hard drives. Memory chip maker Crucial has tackled this head on. The MX500 comes in roomy 500GB, 1TB and 2TB flavours. This is because the MX500 is Crucial’s first SSD to make use of 64-layer 3D NAND memory. In non-geek-speak, the data storage cells get stacked 64 layers deep, which gives a much higher storage density and crucially (bad pun!) makes SSDs cheaper to produce. Looks-wise there isn’t much to see. The MX500 SSD is a small rectangular 2.5-inch aluminium slab designed to slot into a desktop PC drive bay with the help of bundled plastic spacers. It connects to a standard SATA cable and once formatted, acts like a bog standard hard drive. Unlike mechanical hard disks, SSDs can handle getting dropped and bumped, because there are no moving mechanical parts to damage. For those wanting a faster starting PC, and apps that launch at the blink of an eye, an SSD is a complete no-brainer. For those who’ve already installed an older SSD, the MX500 is also a solid choice. It offers a tonne more space and can be anything up to four times faster at certain tasks than older SSDs. The other big win with the MX500 is the sheer bang for buck value on offer. My test unit was the 1TB version. Depending where you shop it can be had for around $460, which works out at a pocket pleasing $0.46 per GB. In short, it is well priced. Given the performance gains you’ll get, it’s hard not to be impressed with its performance. Getting the MX500 installed was a near pain-free undertaking. Using a desktop PC, the MX500 was a near seamless fit in a spare drive bay. The physical swap-out process took around 10 minutes. Crucial make installation hassle-free thanks to an included cut-down version of Acronis True Image. It allowed me to clone the contents of my old hard drive onto the MX500. With fast boot enabled in my PC’s BIOS, boot times felt near instantaneous, and apps launched in the blink of an eye. Another side benefit was that my PC was also a lot quieter without a spinning hard drive in its chassis. While everything felt quicker, I decided to be more scientific. To achieve this, I ran some benchmarks. My first test used AS SSD, which did a bunch of file transfer tests. Its Sequential test involves transferring 1GB of data on and off different areas of the MX500. This gives you a good measure of SSD read and write speeds. The MX500 didn’t disappoint, reading its files at a blistering 513MB/s and writing them at 497MB/s. This makes the MX500 faster than a lot of earlier SSDs I’d tried. The next test on my list was the 4K Random benchmark. It takes a 1GB chunk of data and splits it into 4KB chunks. These get written and read across random locations on the MX500, mimicking what a computer’s operating system usually throws at a disk. The MX500 scored 37MB/s reading files and an impressive 73MB/s writing them. The MX500 isn’t only an affordable option, it’s also a capable performer too. That there’s plenty of room on offer is a big bonus, and for an affordable and easy way to improve your PC’s performance, you’d be hard pressed to go past it.